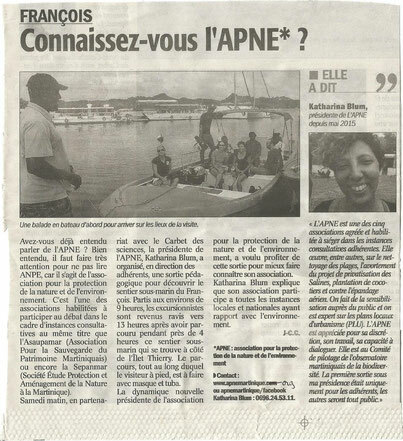 News - APNE MARTINIQUE ! 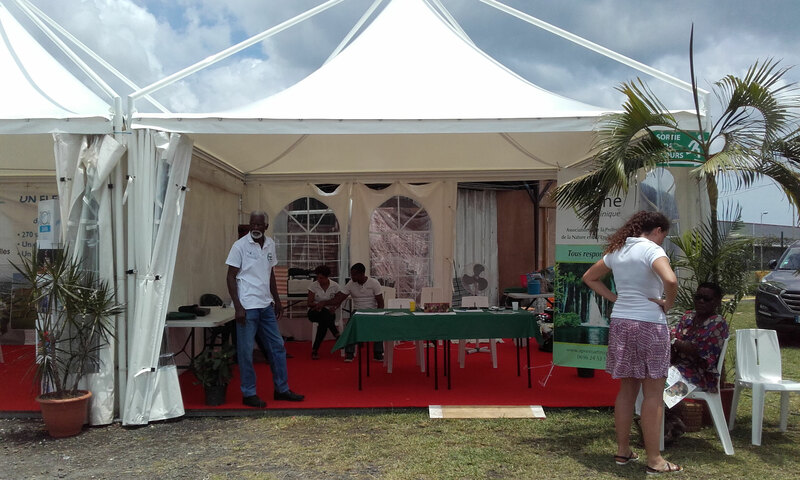 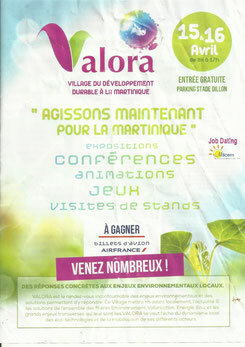 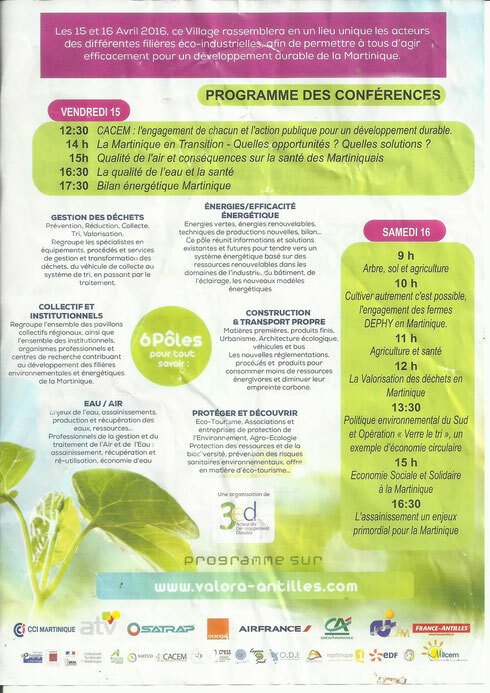 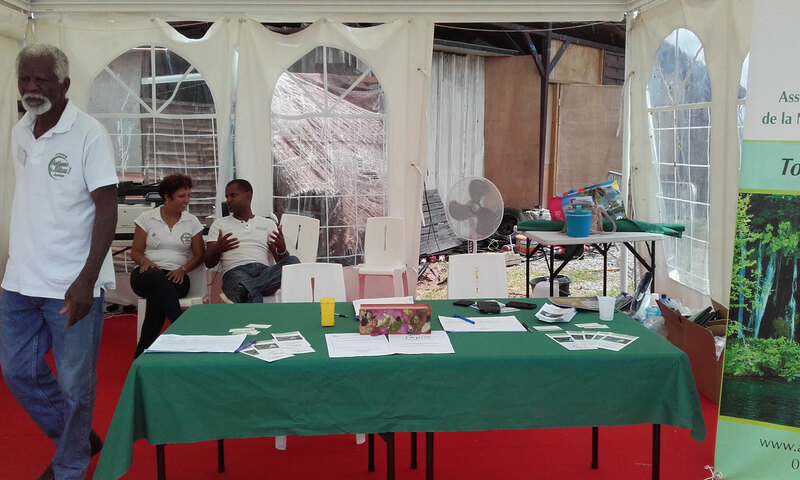 We were present on the Valora exhibition that took place last April on the parking lot of Dillon's Stadium. 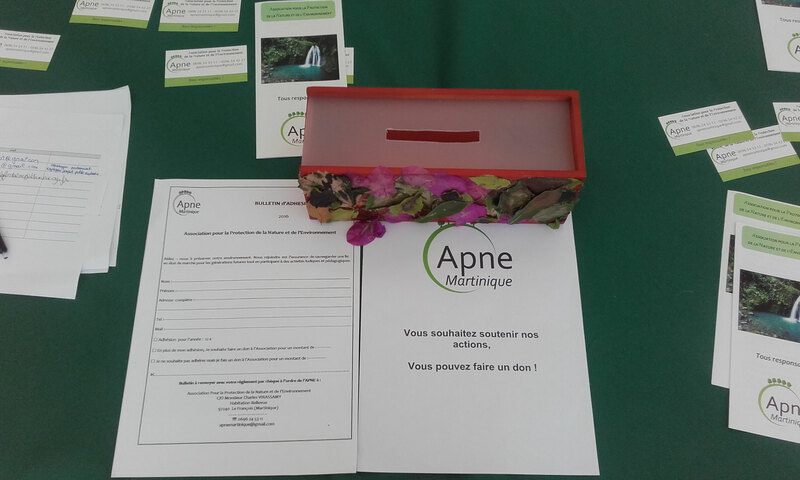 We really wanted to thank you for coming to meet us and hope to find you even more numerous during our next meeting! 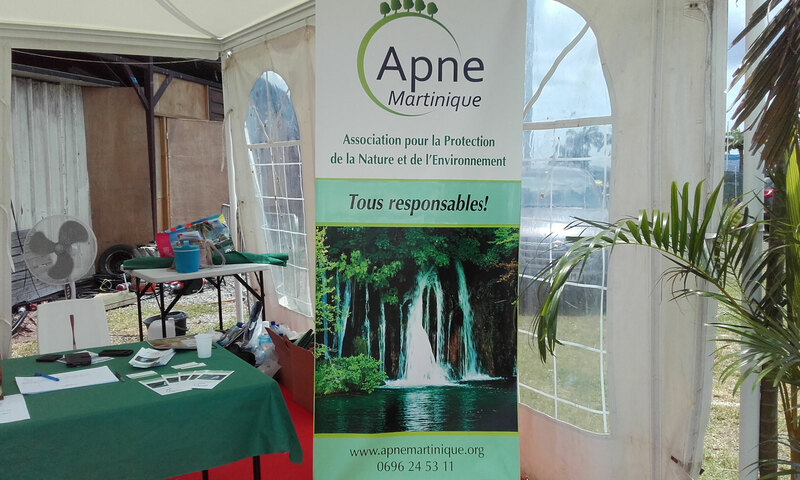 We invite you to join the association! 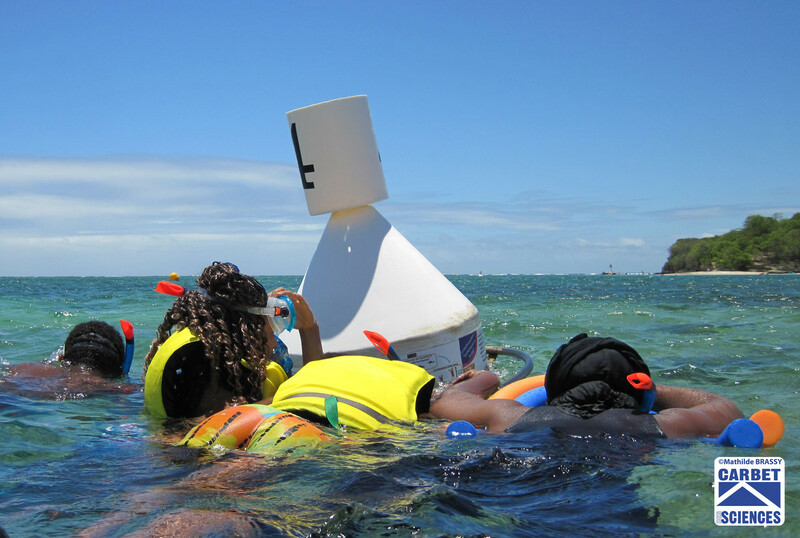 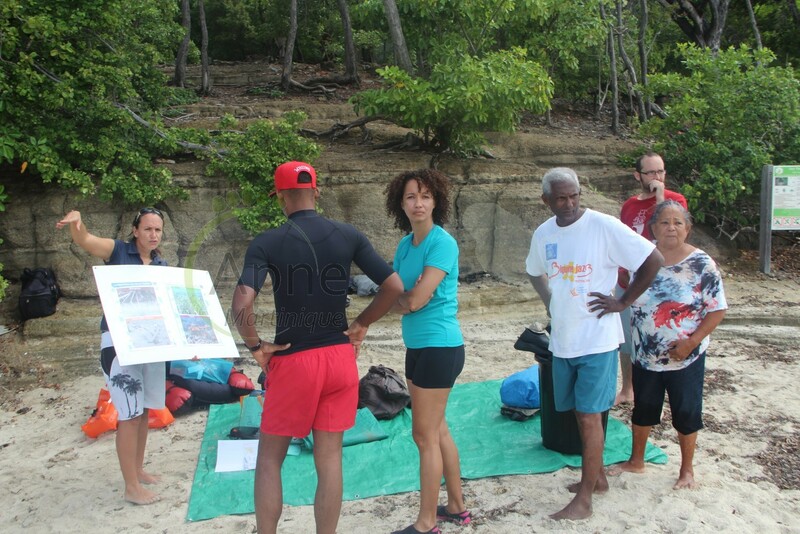 Article on the APNE from "France-Antilles"
Educational visit "Discovering the submarine trail in Le François"
On Saturday, November 21st, the members of the APNE went to discover the submarine trail in Le François settled by " Le Carbet des sciences". 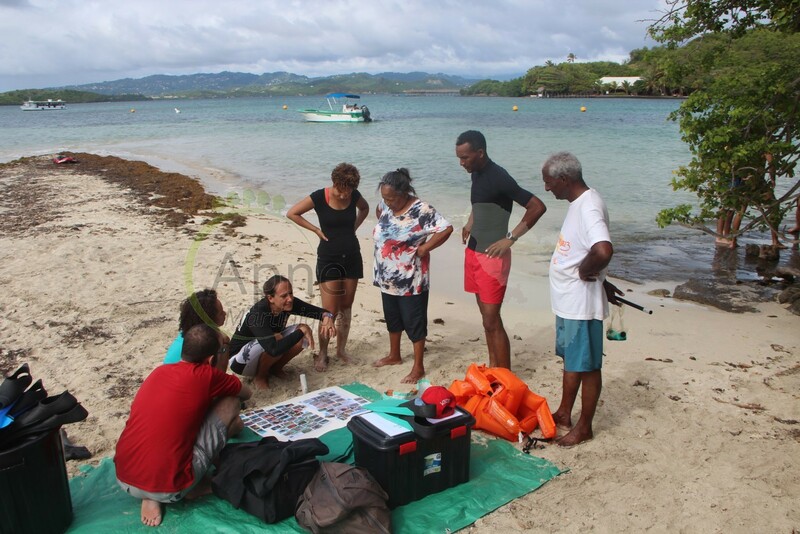 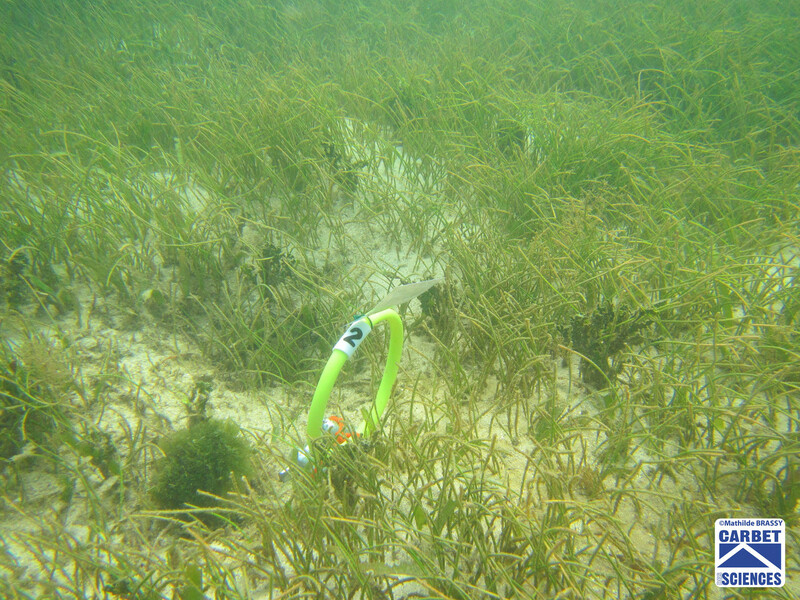 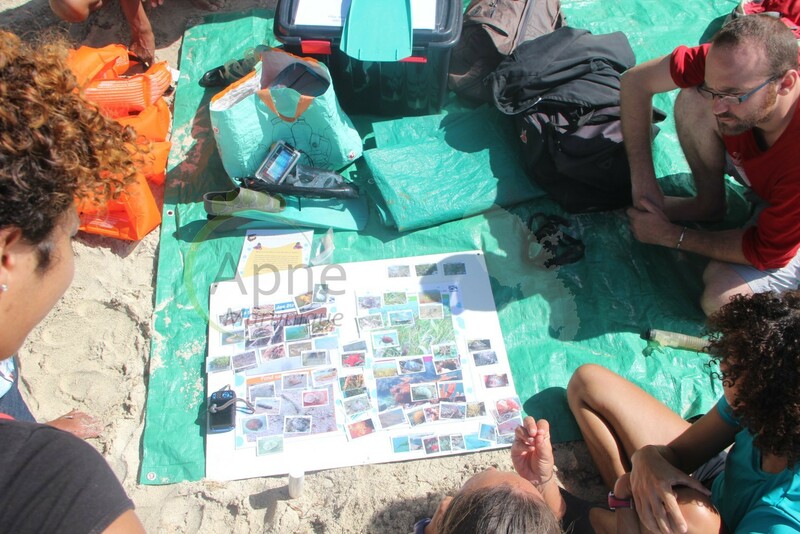 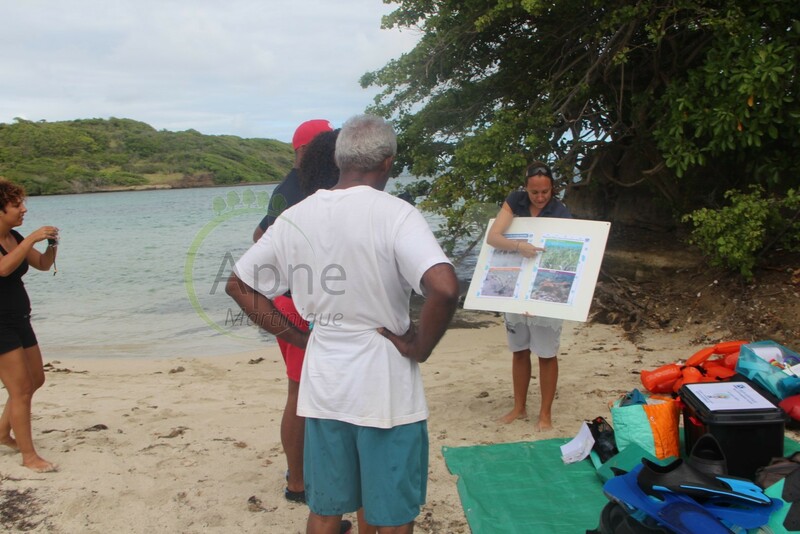 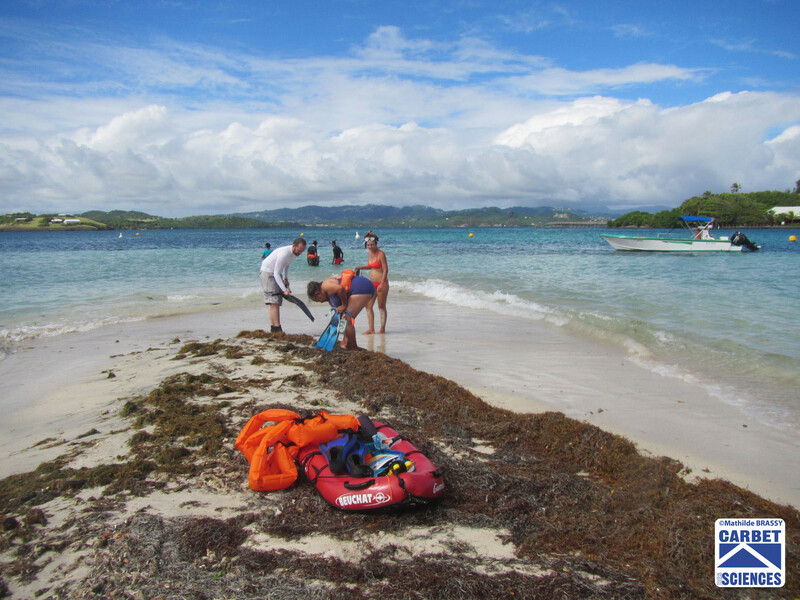 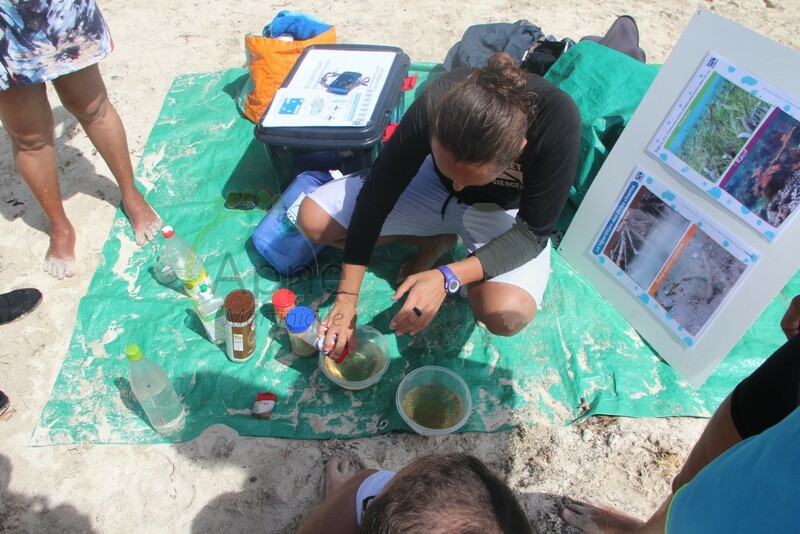 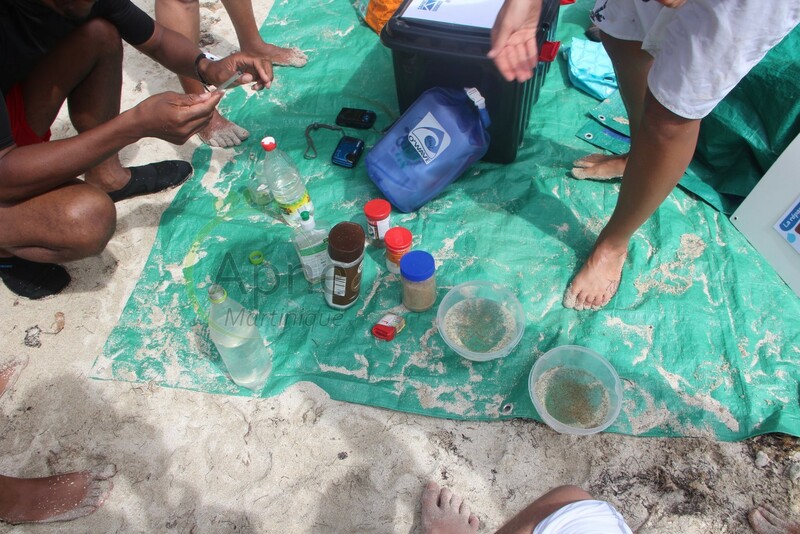 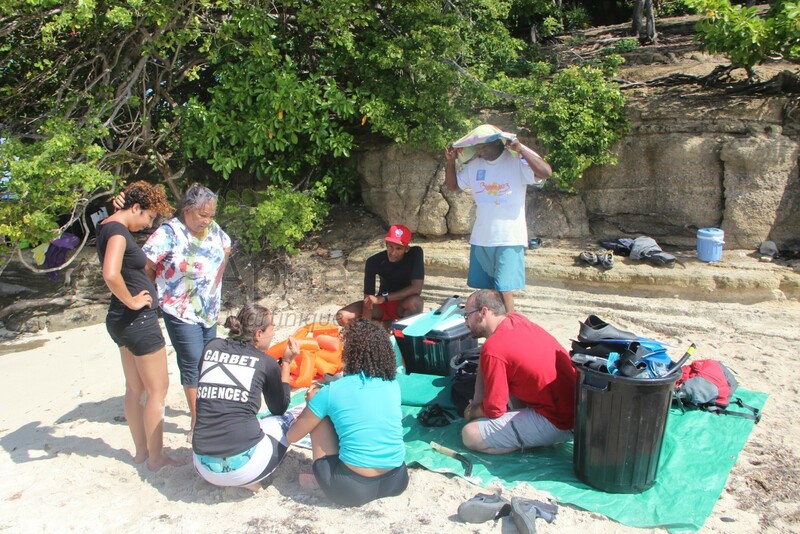 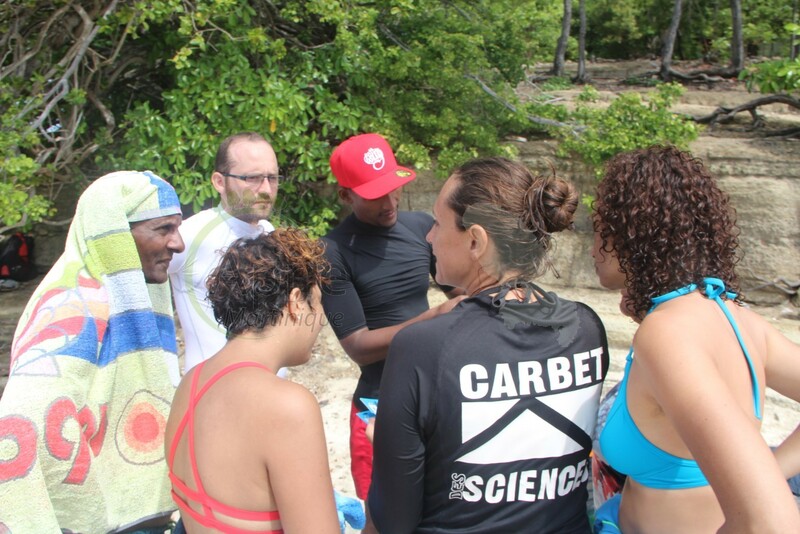 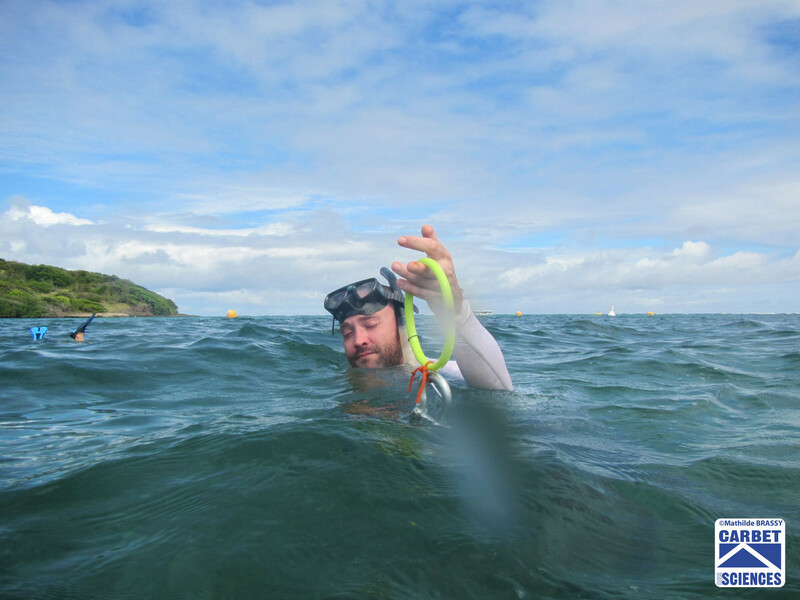 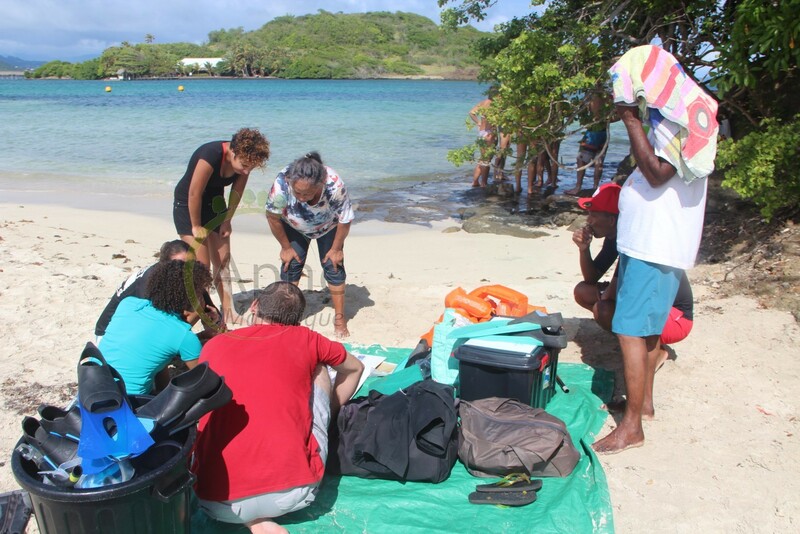 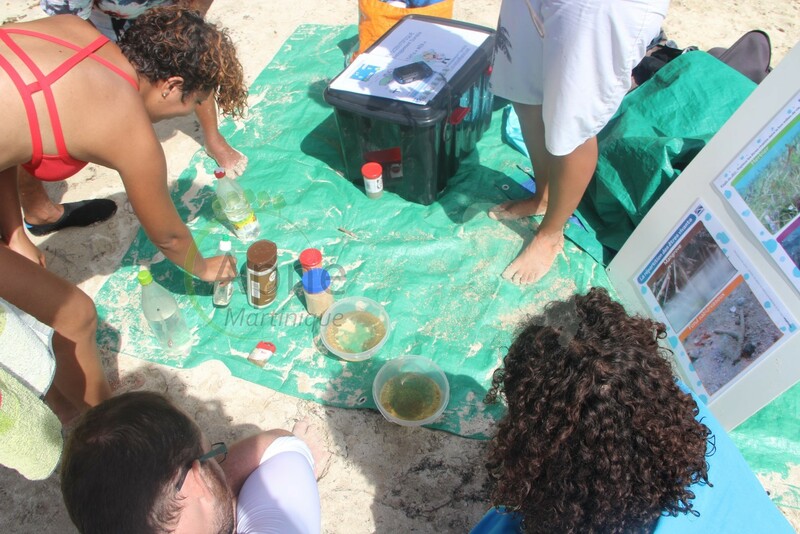 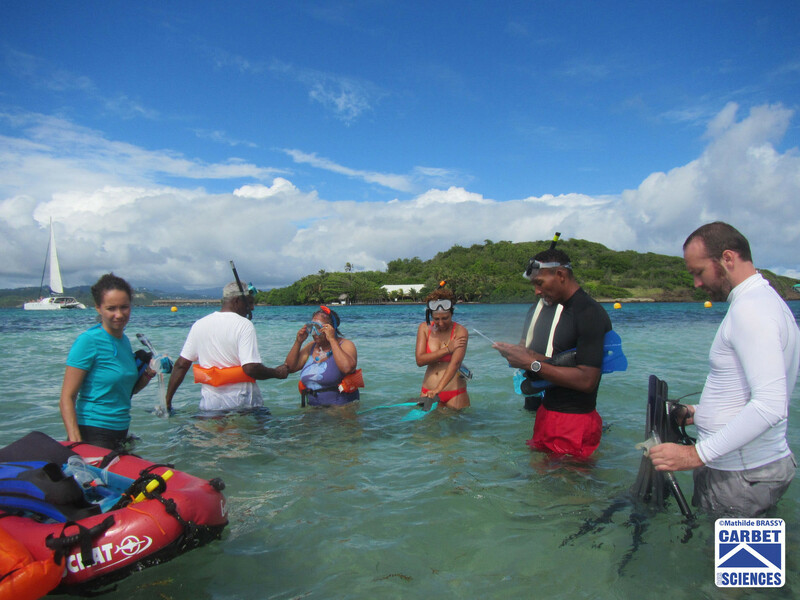 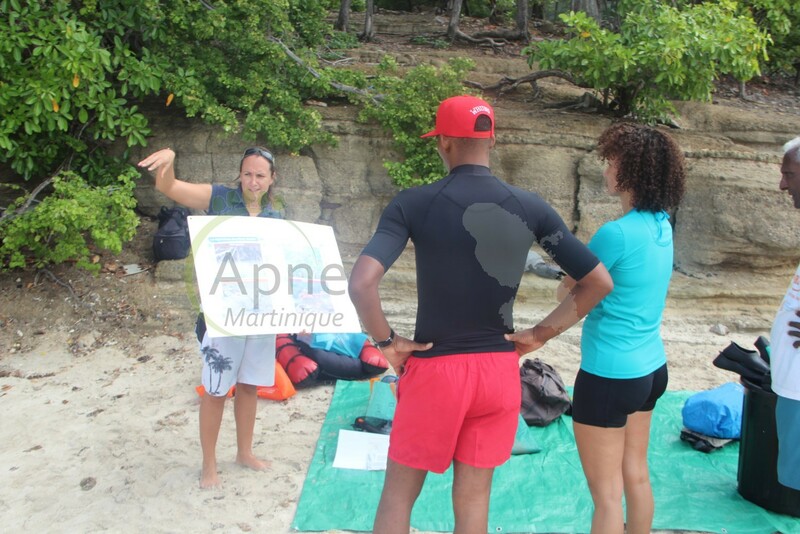 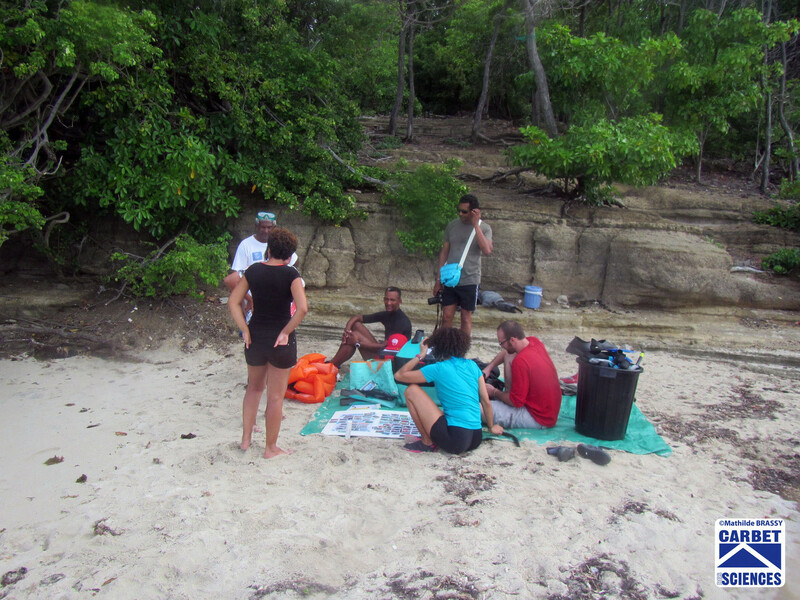 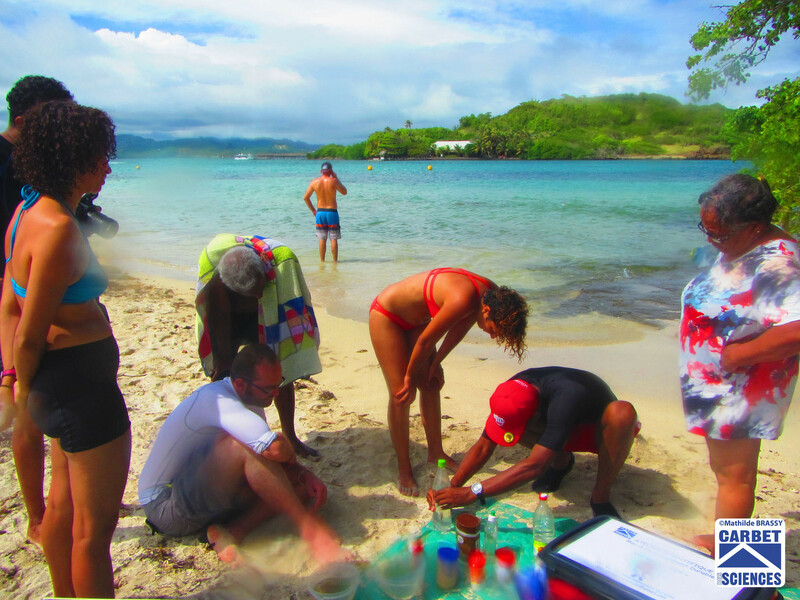 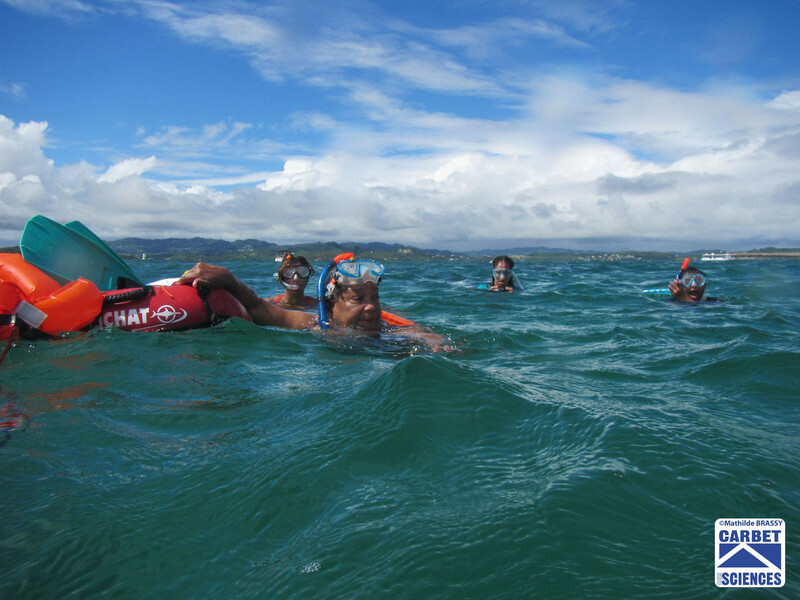 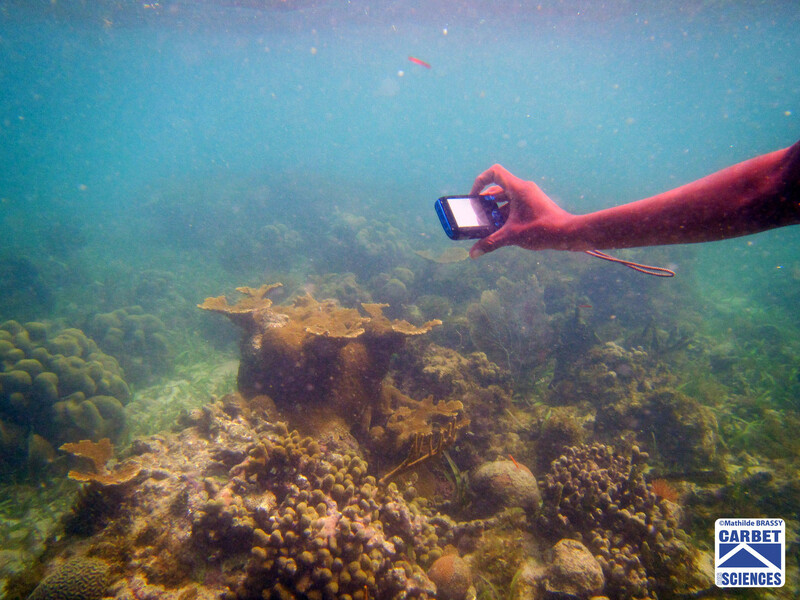 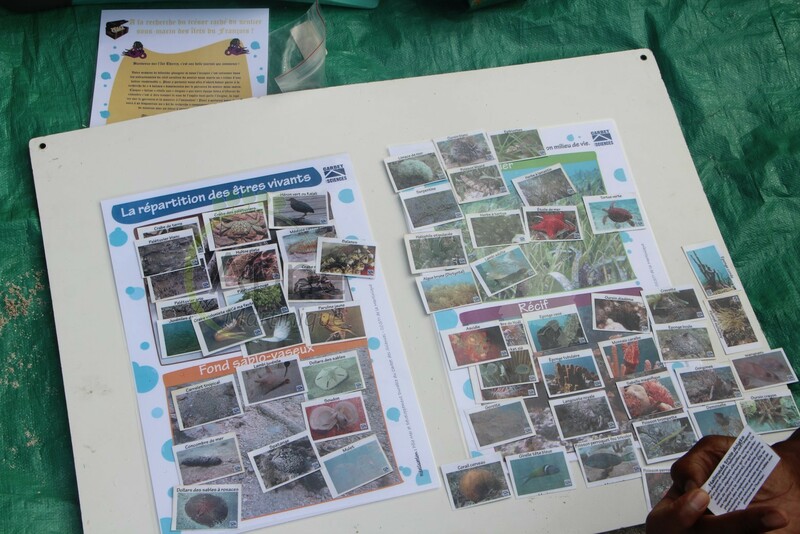 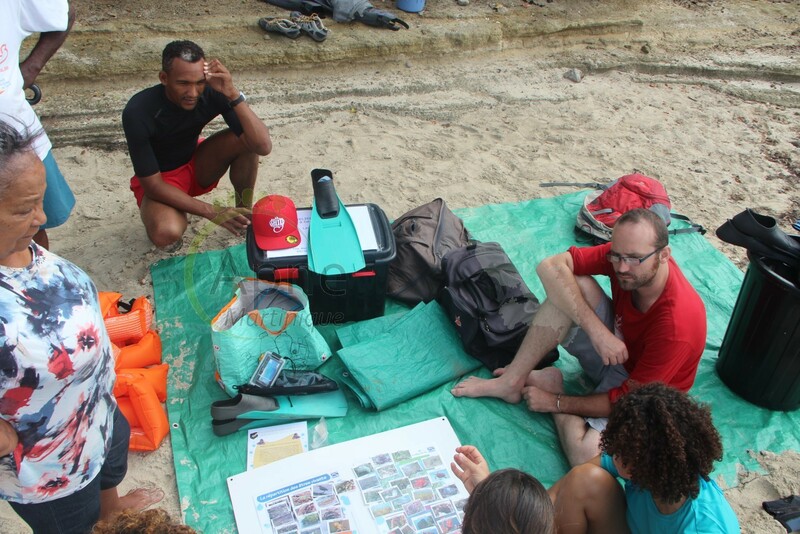 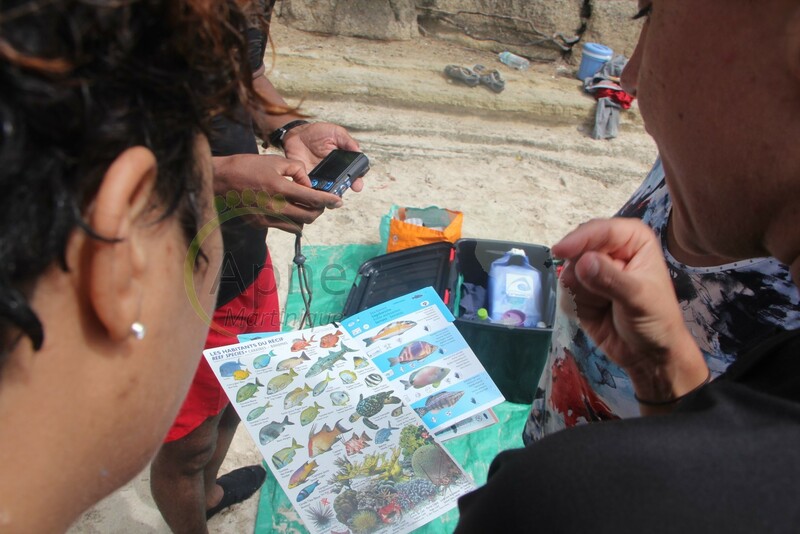 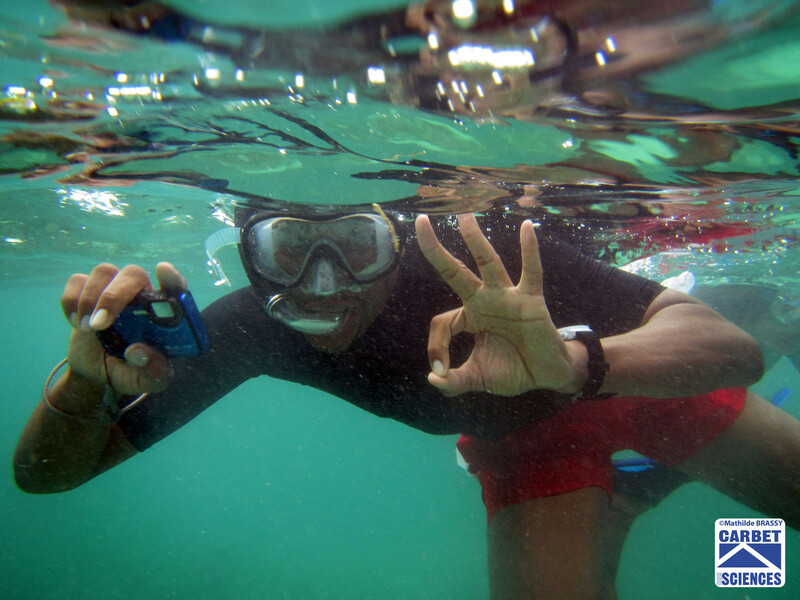 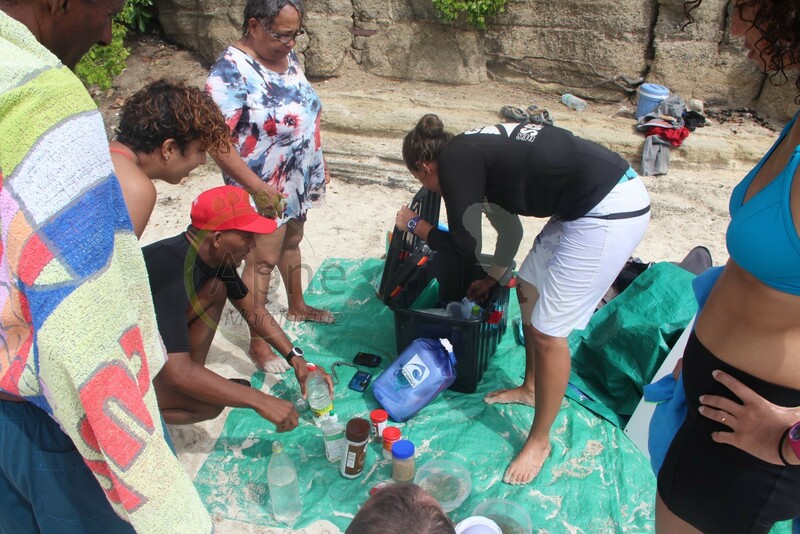 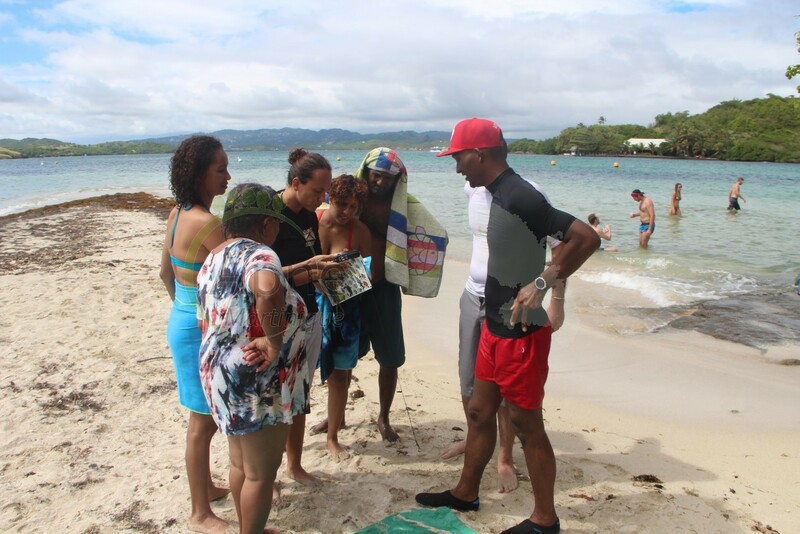 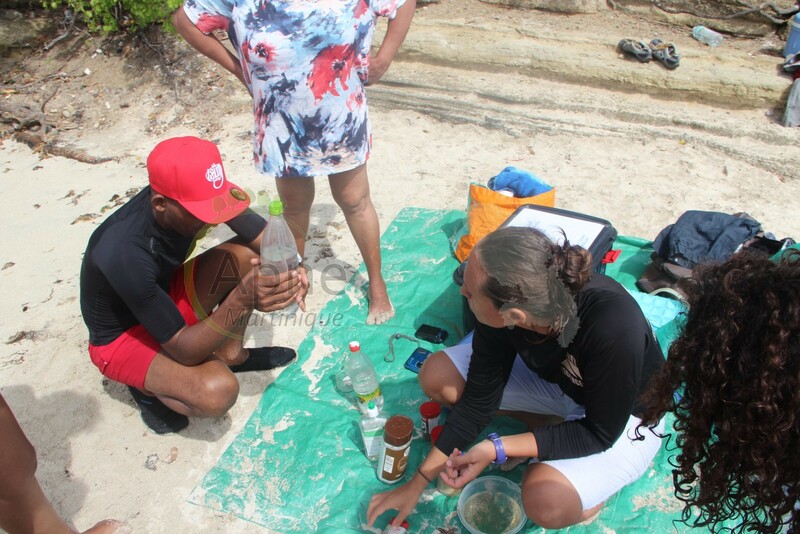 This visit allowed each to become familiar with the marine biodiversity of Martinique through a treasure hunt in the water, some recreational activities to raise awareness and some scientific experiments for a better understanding of some phenomena. 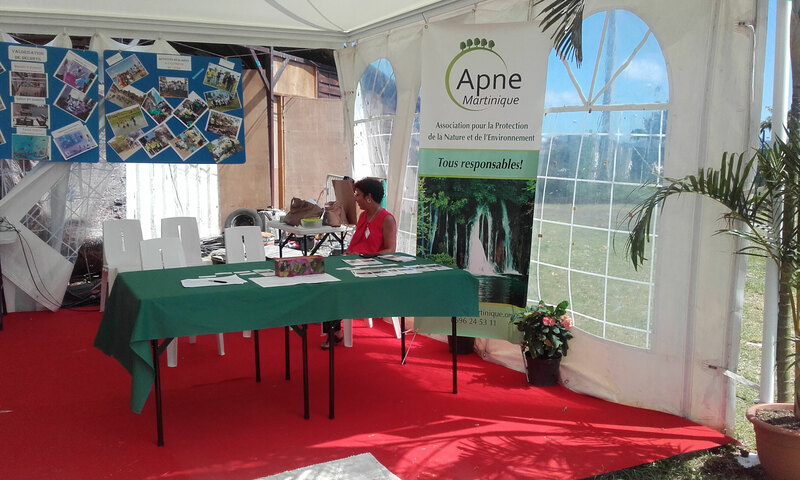 The President of the APNE, Katharina BLUM, spoke in September to Mrs Céline HERVE-BAZIN, researcher, on the big environmental issues in Martinique and Overseas in preperation for the COP 21 - CLimate Summit. 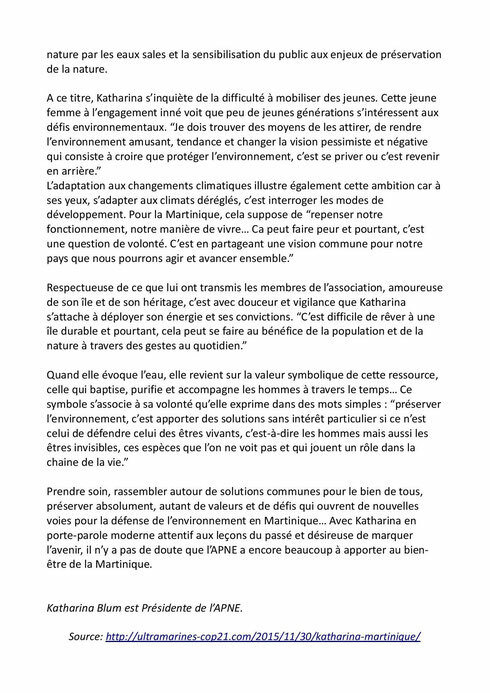 This interview will be given to the members of the governments who will take part in the summit and will be several presentations' topic during the COP 21. 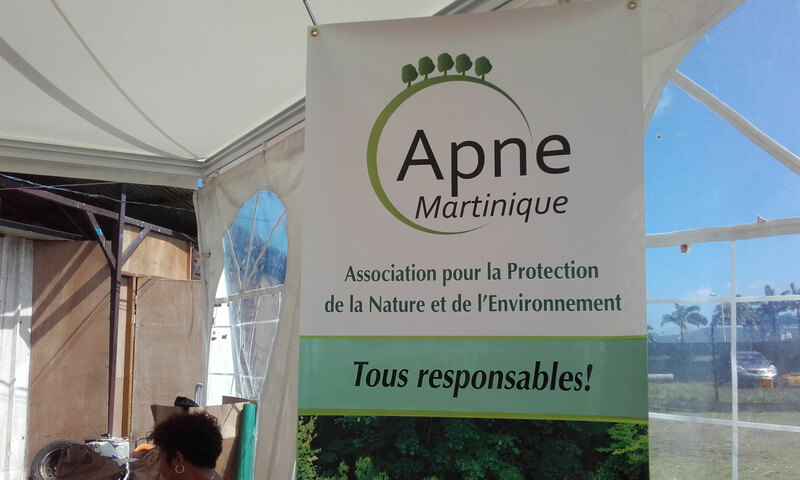 The regional council requested the APNE's members to take part in a round table on climate change in October 2015. 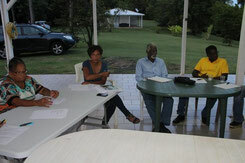 A report was given to the President of Region in preparation for the COP 21.